Order in the next 3 hours, 18 minutes an 5 seconds for same day shipping. 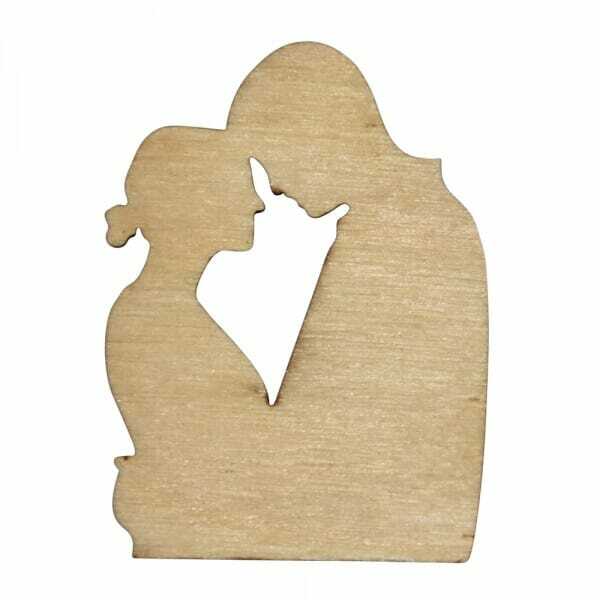 Our wooden Couple craft shape has cut out detail of a man and woman, making it the perfect extension to your craft shape collection. Created from 3mm of Birch wood, the couple craft shape can be purchased in a variety of sizes ranging from 25mm to 250mm. Excellent for save the dates or wedding invitations, this shape can be coloured, glittered and glued to any of your arts & crafts projects. Customer evaluation for "Craft Shapes - Couple"